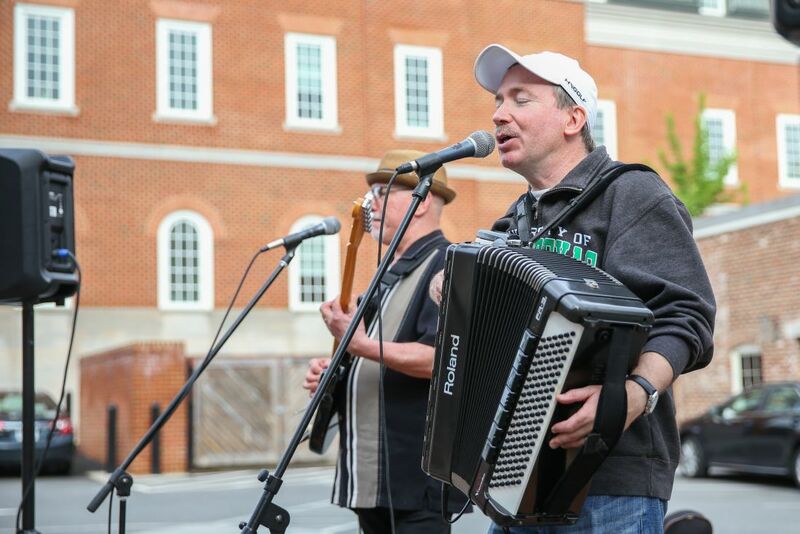 The 13.1 mile course features historical attractions; a quaint downtown with unique shops and chef-owned restaurants; a run alongside the Rappahannock River; and the now-famous Hospital Hill. 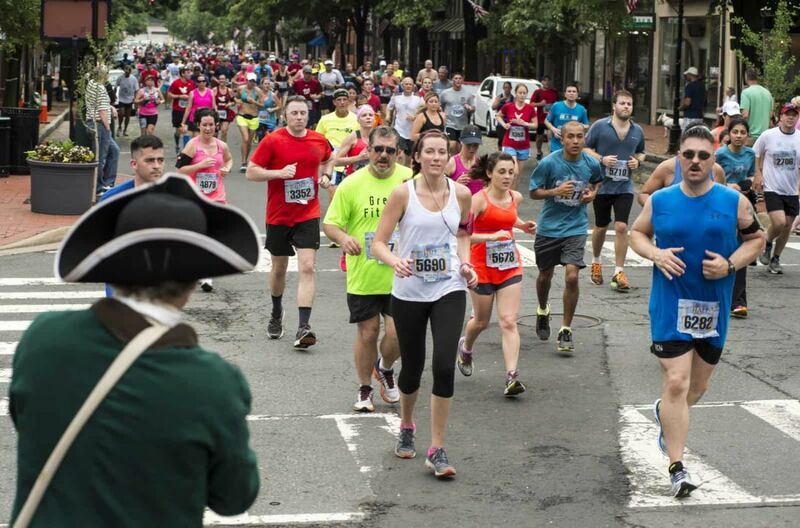 Ideally situated halfway between Washington, DC, the nation’s capital, and Richmond, the capital of the Commonwealth, the Marine Corps Historic Half introduces runners to Fredericksburg, VA, an ideal weekend getaway spot. 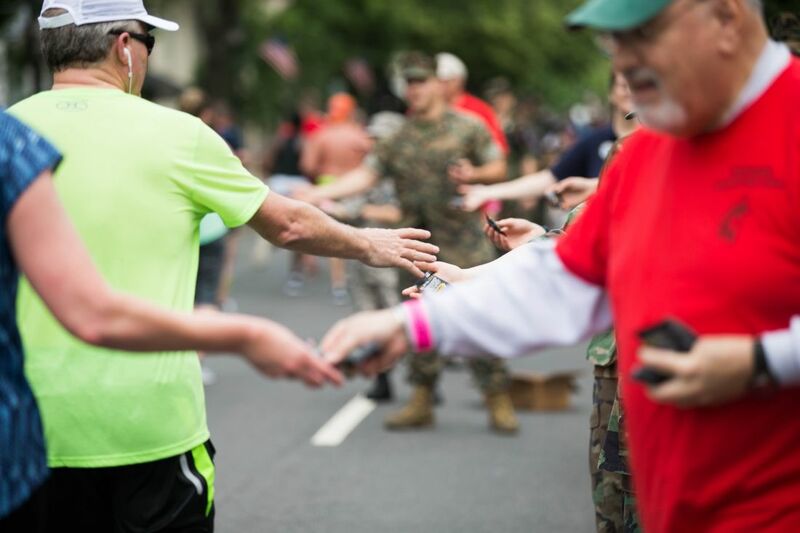 The Marine Corps Historic Half course features 13.1 miles of scenic and historic landmarks in and around Fredericksburg, Virginia. Runners begin their journey at the Fredericksburg Expo and Conference Center on Carl D. Silver Parkway and head south through the shops and restaurants of Central Park. With a left turn onto Cowan Boulevard, the course proceeds downhill towards residential areas in Fredericksburg. Following a right turn, runners proceed through rolling hills of the Westwood neighborhood. At mile 3, a downhill section takes participants beneath historic US Route 1 before turning left onto William Street. The substantial climb along William takes runners adjacent to the University of Mary Washington, passing the 88-foot tall Clock Tower, dedicated in honor of the University’s Centennial Celebration in 2008. Next, the course turns left onto historic Sunken Road, famous as a confederate stronghold during the Civil War, protecting Robert E. Lee’s center of operations from penetration by the North at the Battle of Fredericksburg. At the end of Sunken Road, the course bears right onto Fitzhugh Street and winds through the quaint College Terrace neighborhood. After returning to William Street, a left turn onto Washington Avenue passes the Fredericksburg Confederate Cemetery where six Confederate generals and more than 3,300 Southern soldiers lie buried here; 2,184 of them are unknown. Along the way, runners enjoy the view of Kenmore Plantation, the Georgian-style mansion that was home to merchant Fielding Lewis and his wife, Betty Washington Lewis, George Washington’s sister. Just across the street from Kenmore, runners will notice the General Hugh Mercer Memorial Statue constructed in honor of his heroic and fatal actions at the Battle of Princeton during the American Revolution. Ahead, catch a glimpse of the Mary Washington Grave and Monument, dedicated by President Grover Cleveland in 1894, to the famed Fredericksburg resident and mother of George Washington. The course then proceeds with a right turn on Pelham Street and another right onto Fall Hill Ave. Here, runners are sure to enjoy the peach blossoms, roses and hundreds of other plants and vegetation along the old Rappahannock Canal. As runners proceed right onto Prince Edward Street, they will enter the historic residential district before returning to William Street. Runners will see downtown Fredericksburg while passing picturesque shops and churches, some that weathered the battle of Fredericksburg in 1862. With a left turn onto Charlotte Street, runners are greeted by the downtown Visitor’s Center. Another left turn on Caroline Street takes the course through scenic old town Fredericksburg. Continuing right onto Amelia Street, followed by a left on Sophia Street, the course passes the upper pontoon crossing used during the 1st Battle of Fredericksburg to cross the treacherous Rappahannock River by the northern soldiers. Returning to Caroline Street takes runners along the historic mill district and Old Mill Park, Fredericksburg’s most popular park with river front views. Caroline becomes Riverside Drive as the course again passes beneath historic US Route 1. After turning onto Fall Hill Avenue and a short run through the Normandy Village neighborhood, runners will have vista views as the course continues along the Rappahannock River. Once crossing the historic canal, runners make their way around the Fall Hill traffic circle to turn right onto Mary Washington Boulevard. Participants turn right onto Hospital Drive to scale Hospital Hill and receive an up close view of Mary Washington Hospital as they conquer Hospital Hill. The final two-mile stretch of the course turns right onto Cowan Boulevard and right onto Carl D. Silver Parkway, leading runners to cross the finish line at the Fredericksburg Expo & Conference Center. After 26 miles, the Marine Corps Marathon course has a final climb of two-tenths of a mile to the finish line at the iconic Marine Corps War Memorial. 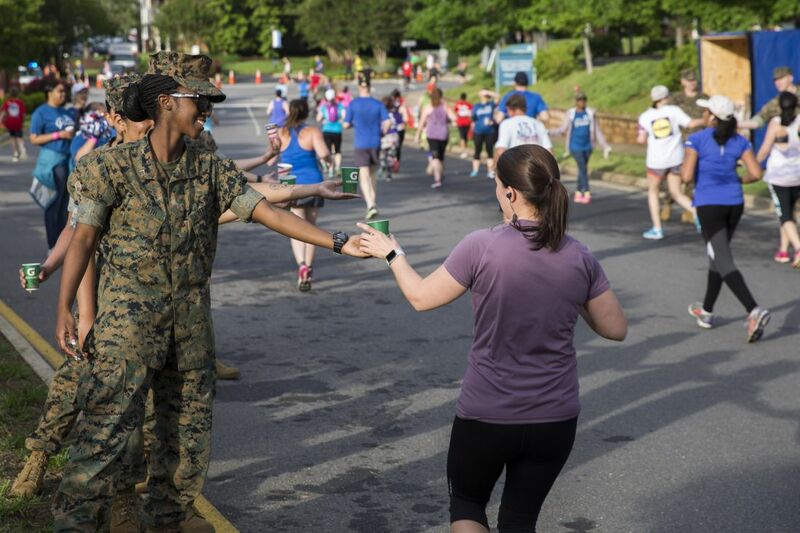 Not to be outdone, the Marine Corps Historic Half in Fredericksburg, has its own vertical challenge: Hospital Hill, a 0.53-mile segment of the 13.1-mile course. Runners arrive at Mary Washington Healthcare campus at mile 10.5. Hospital Hill is in the middle of a two-mile uphill climb that peaks at Cowan Boulevard crossing over Interstate 95. The much-talked-about Hospital Hill stretches over 930 yards in which the hill’s elevation doubles from 100 feet to 200 feet, or the equivalent of climbing to the top of a ten story building. Add to this the tease of a slight leveling off partway up Hospital Hill before encountering another eight percent grade. To finish the Historic Half or Semper 5ive, means a runner has conquered Hospital Hill. Those running the Devil Dog must best this Hill twice. Local law enforcement will close roads along the entire Historic Half course at 6:30 a.m. Fredericksburg roads will reopen as soon as event operations cease. The opening times reflects the last “official” runner crossing a particular location plus clean-up. The Historic Half course officially closes by 11:00 a.m.
Lemon-Lime Gatorade Endurance Formula will be available on course at all water points. Endurance Formula has two times the sodium and three times the potassium of traditional Gatorade. Newly reformulated, it now contains no artificial flavors or sweeteners and has a new, lighter flavor. 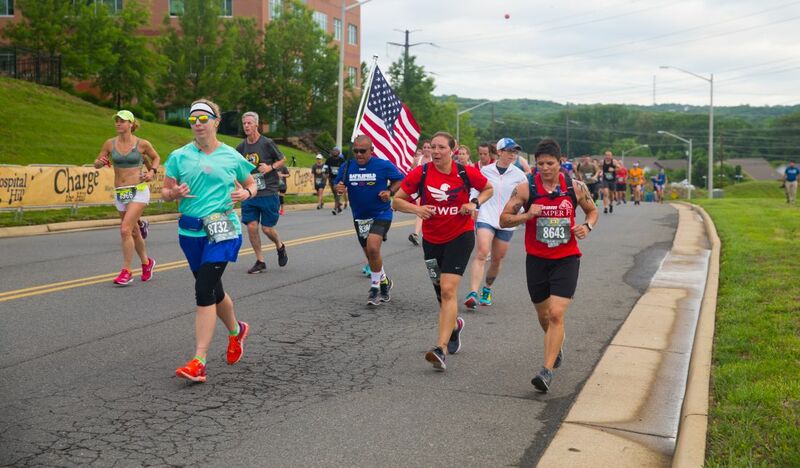 Five Aid Stations provide basic medical and Basic Life Support care along both, the Semper 5ive and Historic Half, courses with support from proud sponsor, Mary Washington Healthcare, the Naval Health Clinic Quantico and other volunteers. Fredericksburg Emergency Medical Services (EMS), along with mutual aid partners from the surrounding areas, provide bike teams, medical gators and EMS transport in support of the event. Each Aid Station is equipped with an AED, as well as other medical supplies needed to care for Historic Half participants. Jelly Belly Sport Beans: Distributed to runners at mile 7.5 from outside the Fredericksburg Visitor Center, Sport Beans™ jelly beans are formulated with electrolytes, carbohydrates, and vitamins B and C to sustain and replenish energy during intense exercise. This revolutionary product maximizes performance and ensures ideal portion control, with four delicious flavors that will keep you going. wear blue: run to remember is proud to announce its return to the 2019 Historic Half Marathon. With the Rappahannock River rushing in the background, carefully selected images of fallen service members and boldly waving American flags will line the edges of the canal path along Old Mill Park. 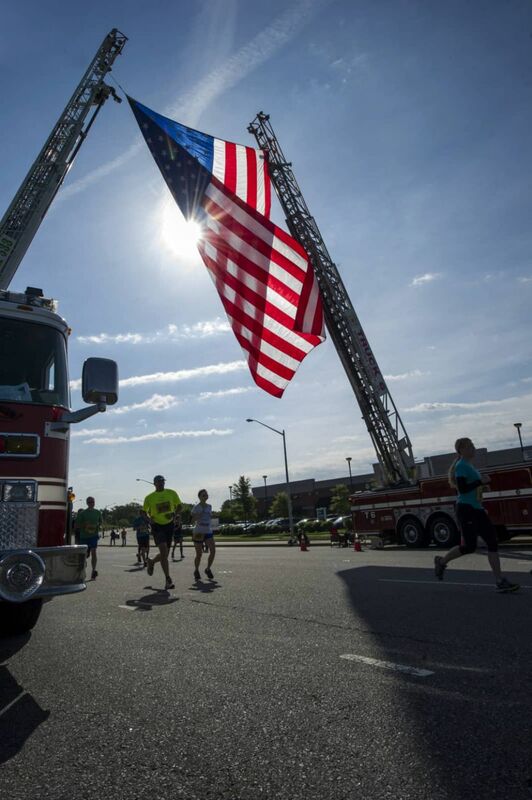 Highlighted as the most patriotic mile on a race course, the wear blue Mile will inspire and motivate. To honor a fallen service member with wear blue: run to remember at the Historic Half, please visit http://www.wearblueruntoremember.org/marine-corps-historic. wear blue: run to remember is a national nonprofit dedicated to empowering families of the fallen, supporting our military and their families, and remembering the service members who have made the ultimate sacrifice.